Looking for a parking garage near Producers' Club? Parking.com offers convenient nearby parking. Click on the map shown below for more information on parking, or to reserve a guaranteed parking spot. The Producers' Club is a landmark Off Off Broadway playhouse located in NYC's Times Square. The Producers' Club provides five fully equipped theaters that convert into screening rooms, a bar and lounge, and studios. 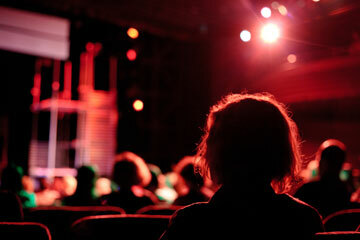 It is a popular venue for improv troupes, theatre companies, film screenings, workshops, castings, and special events.